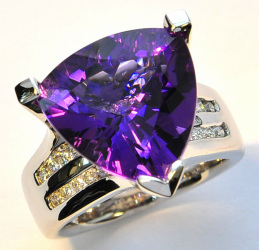 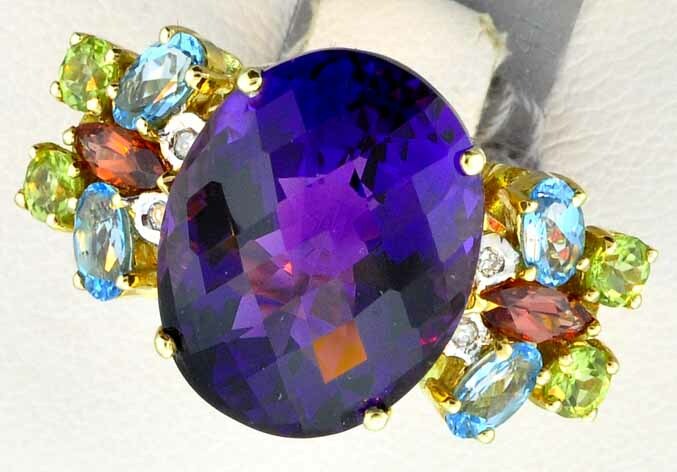 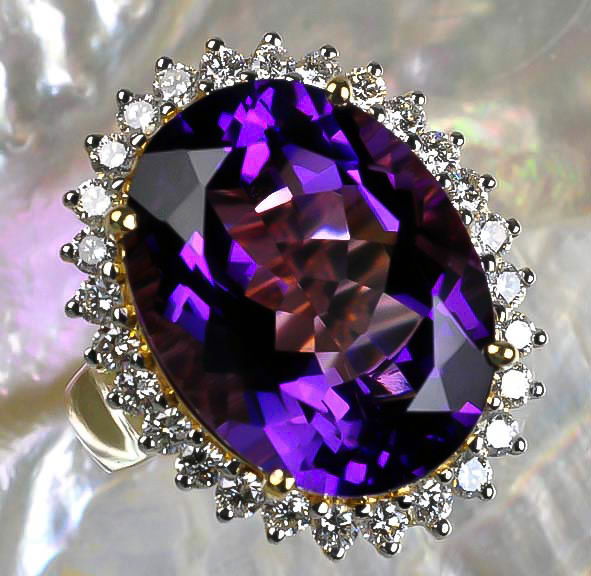 Amethyst is a beautiful purple gemstone in the Quartz family. 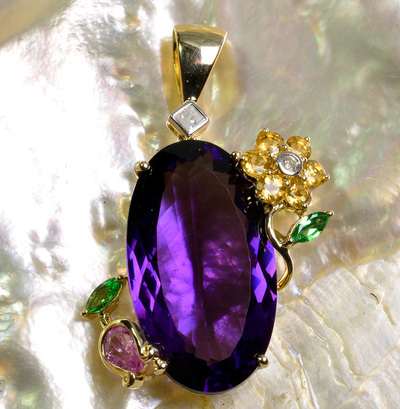 Many times you can see this gem in it's crystal form in massive geodes. 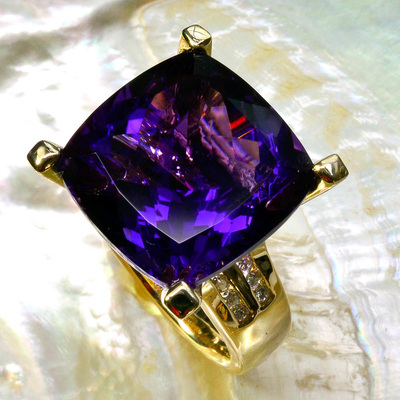 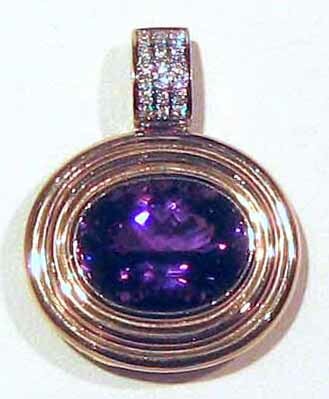 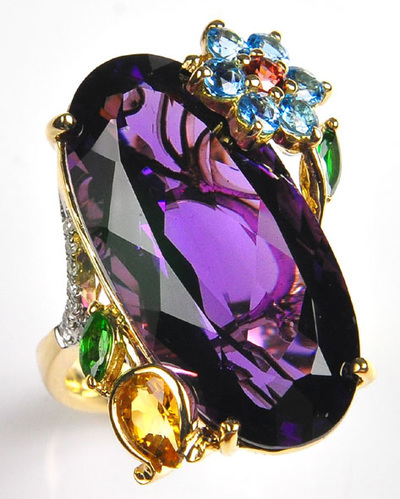 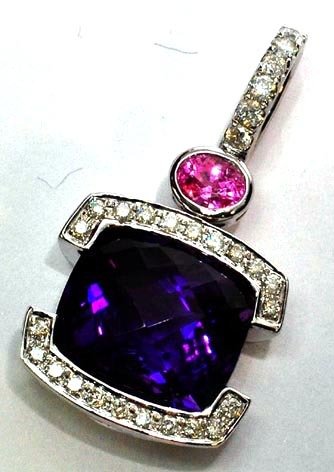 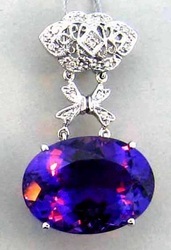 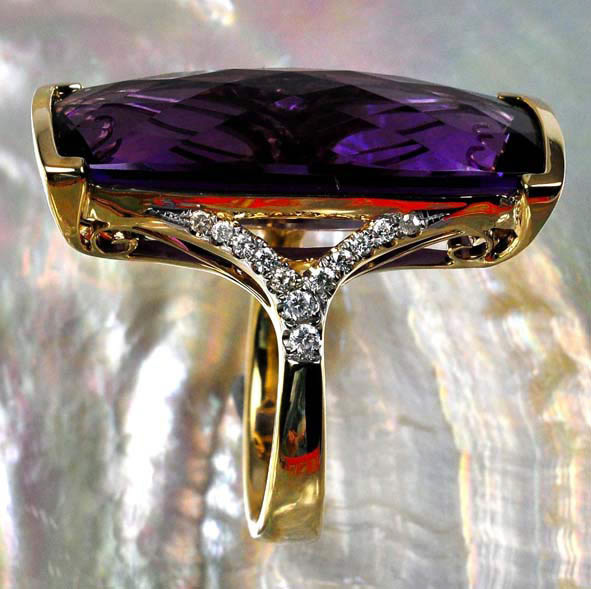 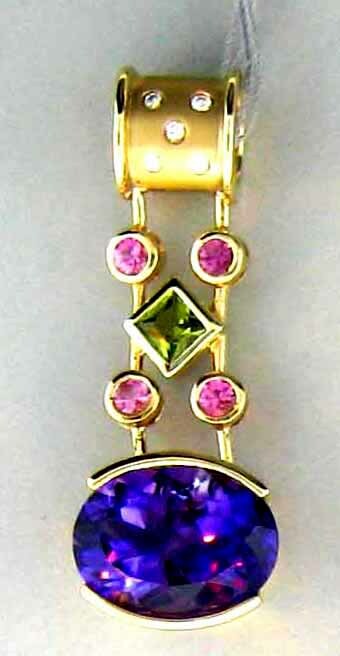 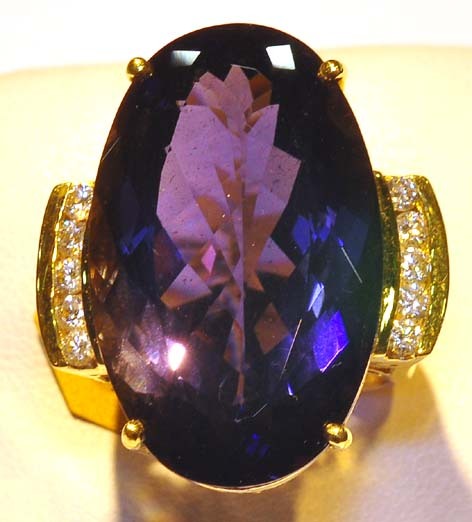 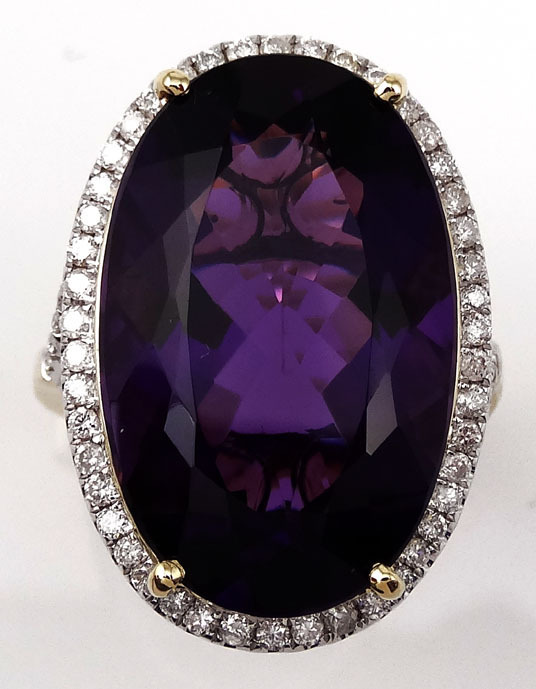 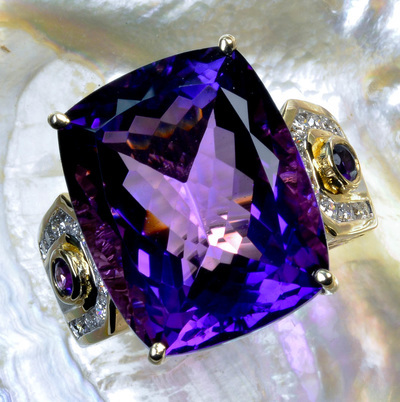 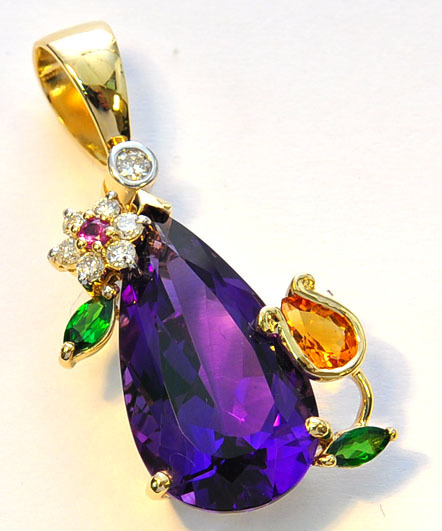 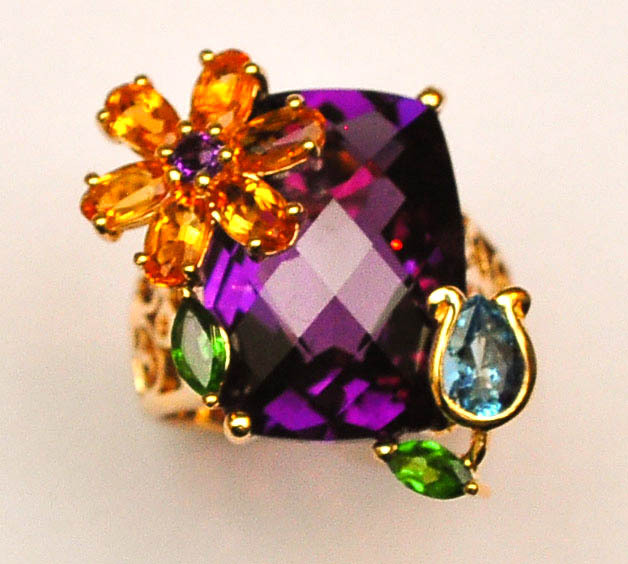 Amethyst was thought to ward against drunkenness, so the ancient Greeks carved many wine goblets from Amethyst. 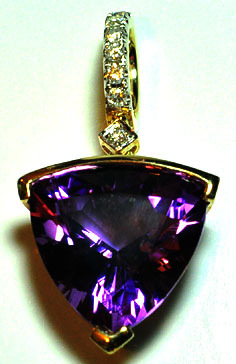 The best colors are a deep purple with flashes of pink or red.